Agents with the Bureau of Alcohol, Tobacco, Firearms and Explosives used a secret off-the-books bank account to buy a $21,000 NASCAR suite at Bristol Motor Speedway and a trip to Las Vegas, among other things, reports the Washington Post. Sadly, it wasn’t to investigate on-track fistfights, or anything else for that matter. 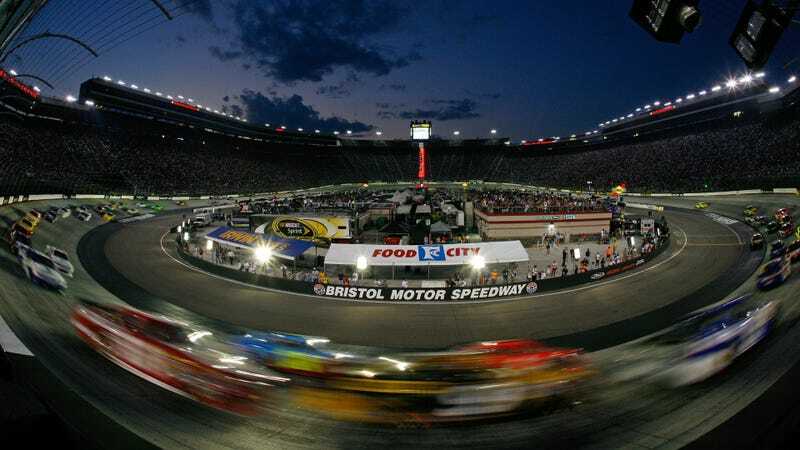 The night out at Bristol was in a 16-person suite for the 2012 Irwin Tools Night Race. The outing had “no obvious connection to law enforcement operations,” writes the Post. Agents attended the race with other members of the Bristol community. The account was created by agents based in Bristol, Virginia, who were investigating tobacco smuggling, and dates back to 2011. The bureau’s secret slush fund was put into the public spotlight earlier this year by the New York Times, who claimed that millions of dollars had been funneled into it through the resale of untaxed cigarettes, which were then marked up and sold at a profit, spawning a federal racketeering lawsuit. The Justice Department’s investigator general is currently investigating the account, where private funds were illegally used to supplement public funding, according to the Washington Post. The account not only funded non-business expenses like the NASCAR suite and donations to the school of one agent’s children, but was used to finance undercover operations around the country. The investigator general says that oversight was so lax, agents didn’t even know how many informants they had and how much those informants were paid. Sometimes, the account would be used to conceal the fact that federal agents were renting cars or warehouse space. Other times, as with a 2012 trip to a Las Vegas tobacco convention, the funds were used to supplement the bureau’s travel budget. As the Post notes, agents sometimes use government-controlled funds known as “churning accounts” to finance smuggling investigations like this, which fall under new rules that give the government more oversight into how they are used. By using a secret account, the bureau lacked that oversight. While an the investigator general says the bureau is now under full compliance, management of accounts such as the secret account based in Bristol were not taken into consideration. The Bureau of Alcohol, Tobacco, Firearms and Explosives has not addressed the account or publicly given a good review of the 2012 Irwin Tools Night Race. I suspect the latter was fun before they got caught.